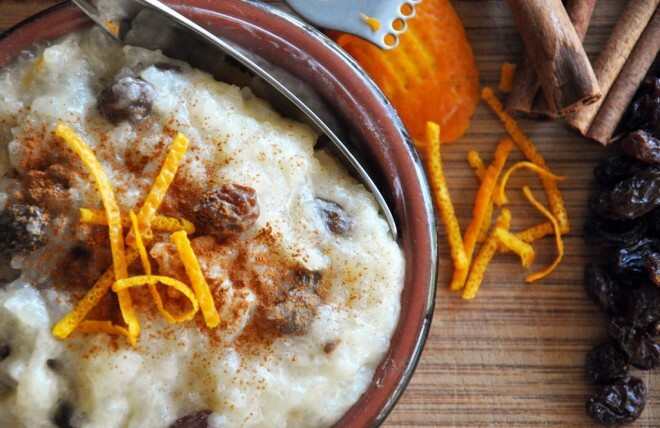 In a medium pot, heat rice, milk, cinnamon sticks, cloves, orange peel and salt over medium heat. Bring to a boil, then cover, and reduce heat to low. 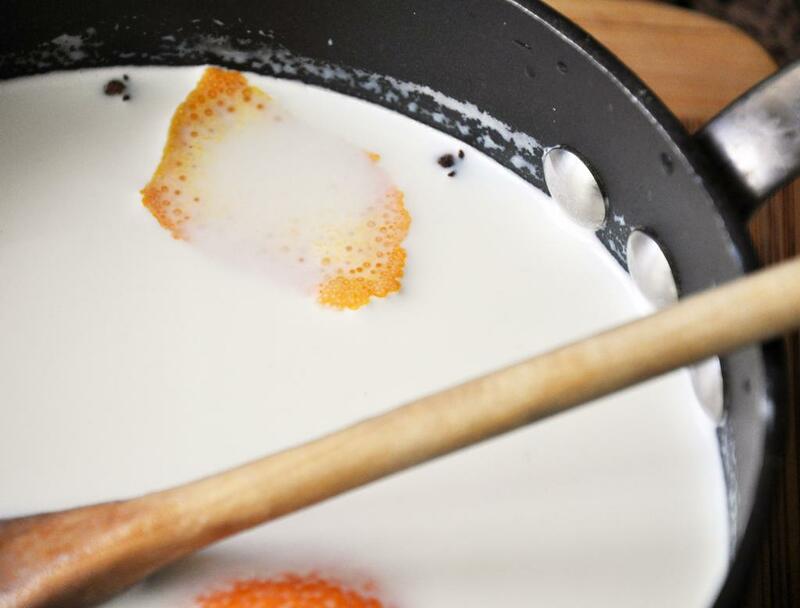 Simmer for 25-30 minutes just before all the milk is incorporated, checking and stirring periodically so rice and milk don’t burn. 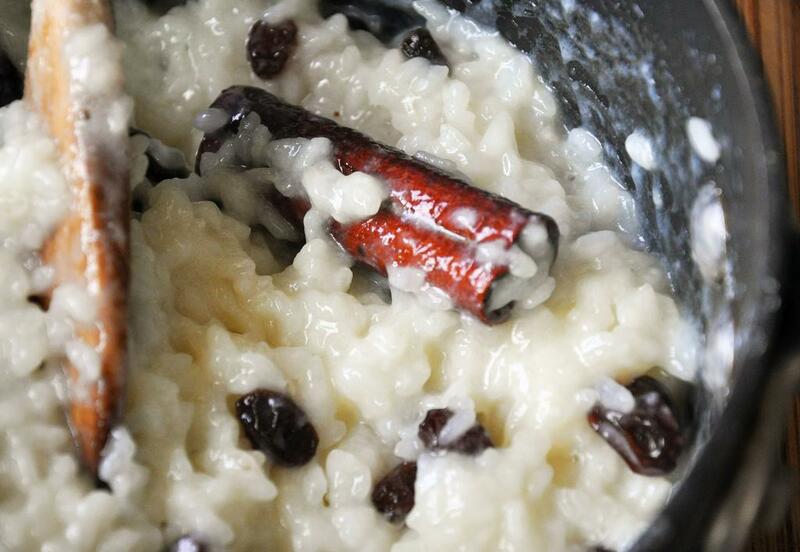 Remove from heat and add raisins, sugar, butter and vanilla and mix well. Let cool 30 minutes and serve slightly warm or refrigerate and serve cold. Garnish with ground cinnamon and orange zest. Adrienne, Fun idea! And as always, amazing photography. 🙂 Thanks for sharing this. Original! I&#39;ve never mixed rice with oranges! Let me give it a try! I find this recipe truly yummy. I will have to see how it feels to mix rice with oranges! Awesome – thanks for the comment! Enjoy!